In today’s competitive world it is crucial for small businesses to have a website. However, just starting up a new website is hardly enough. The website has to get found by your potential customers. For that reason you will need to get listed not only on search engines like Google, Yahoo and Bing, but also on business directories. 1. 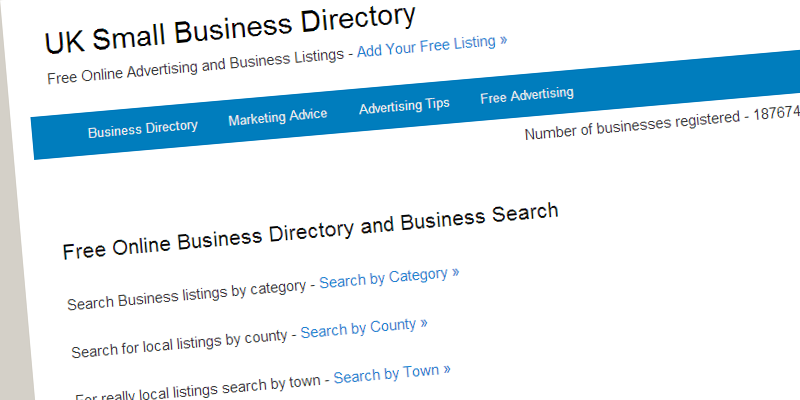 Visitors of the actual business directory might find your business and go to your website or give you a call. 2. The link from the business directory to your company website helps you to get a higher ranking on Google, Yahoo & Co.
3. They connect your business and company website with a physical address which helps your business immensely when potential customers search for local companies. 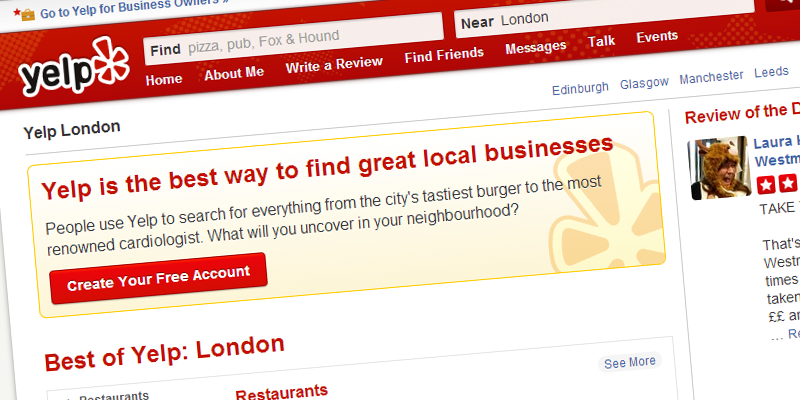 Yelp is not only a directory but customers can also review their favourite places. Over 42 million reviews are currently on the page. 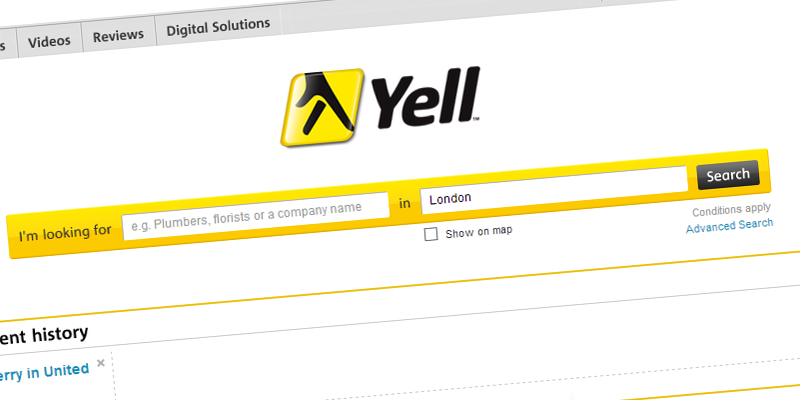 Yell.com is the online version of the Yellow Pages. 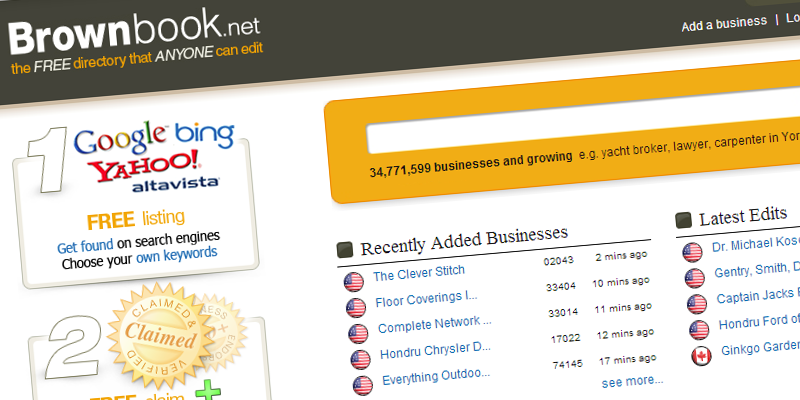 The page lists over 1.7 million businesses in more than 2,400 categories. 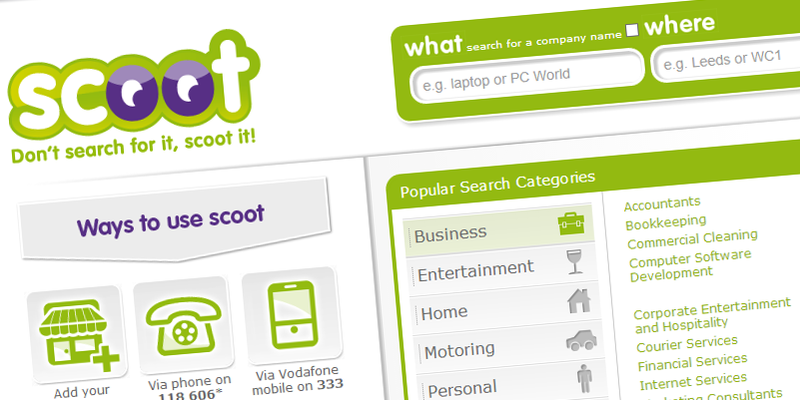 The Scoot network includes scoot.co.uk, touchlocal.com, ask.com, The Sun and The Independent. 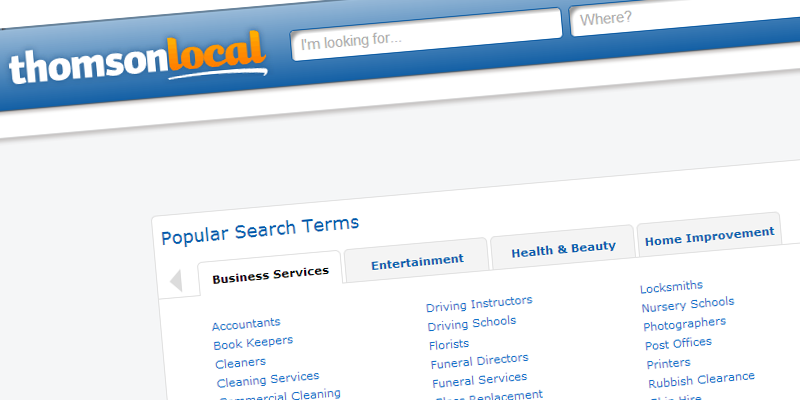 The network has over 7 million searches by UK consumers every month. 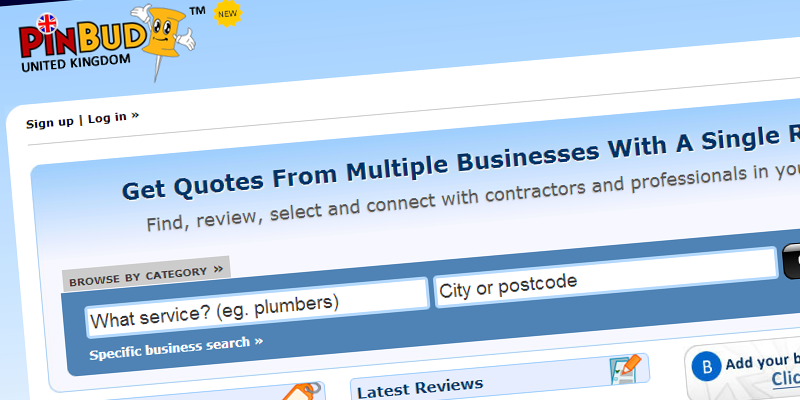 FreeIndex has more than 400,000 listed UK businesses with over 380,000 customer reviews. 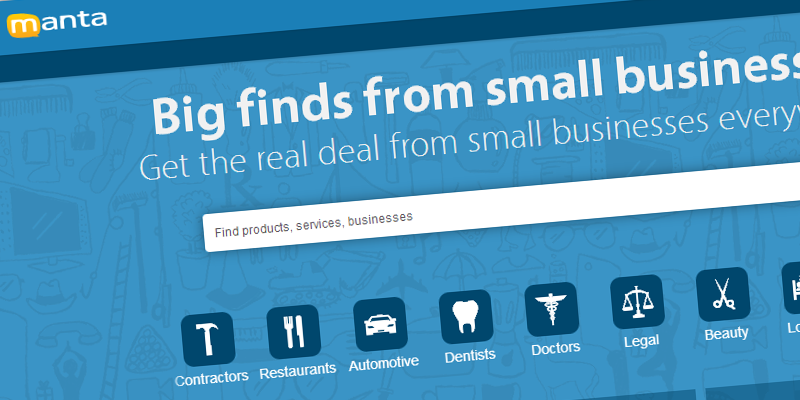 The also feature over 18,000 videos and 4,000 offers from listed businesses. 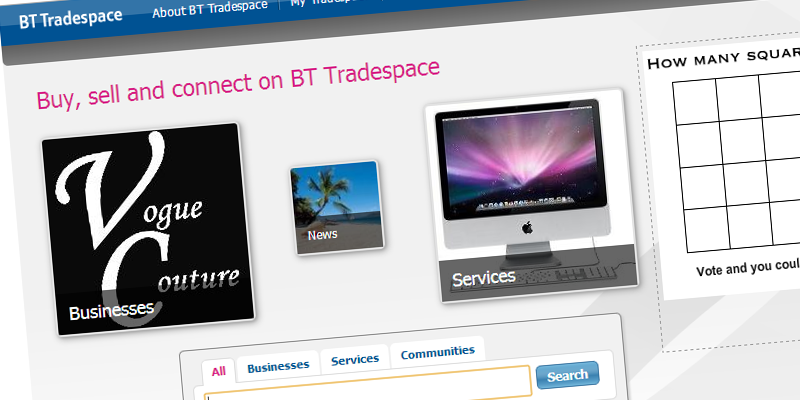 BT Tradespace was British Telecom’s attempt to start a social network for businesses. Businesses get an own page within the network to promote their business activities. 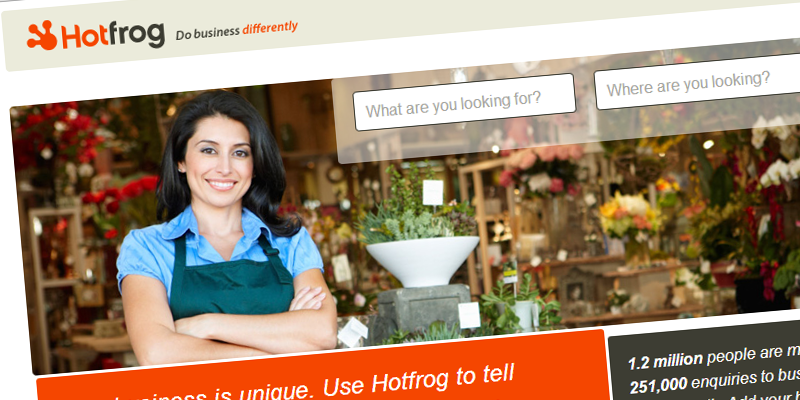 Hotfrog operates in 38 countries, including the UK, and helps over 68 million businesses to reach new customers. More than 1.2 million consumers visit the page per month. 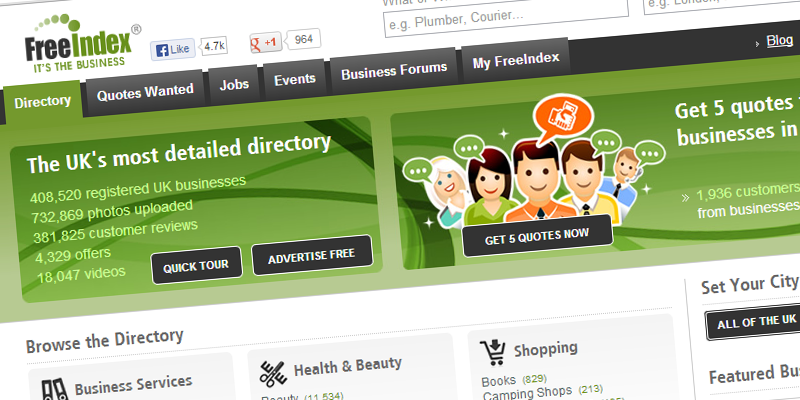 LocalMole features over 1.8 million businesses and advertises the directory in over 100 local websites and in 149 local newspapers to drive consumers onto their directory. Lacartes started in London (UK) but soon listed more than 57,000 businesses in over 138 countries. 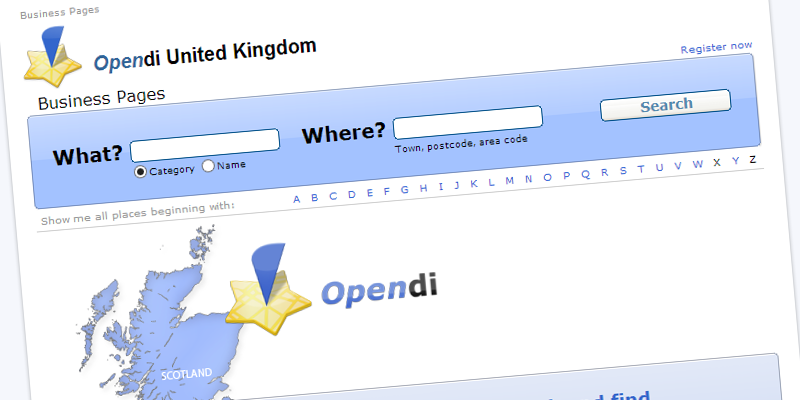 Opendi is originally from Germany but it’s UK version lists more than 1.7 million businesses. Over 13,000 of these listings are including further company details. Manta.com is an international business directory. 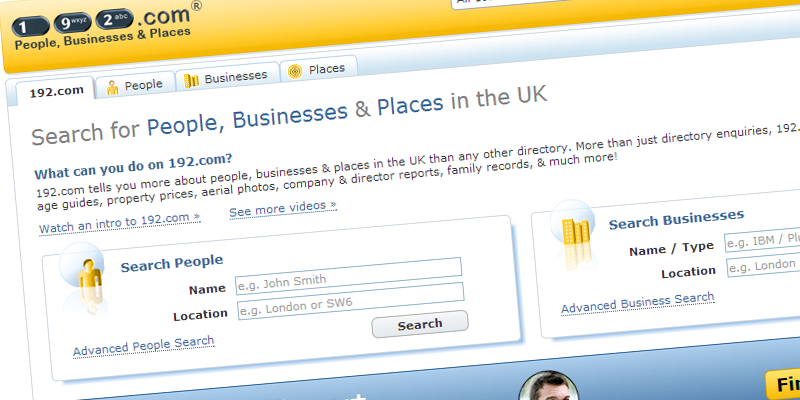 They list more than 1.6 million UK businesses in over 100 cities across the United Kingdom. 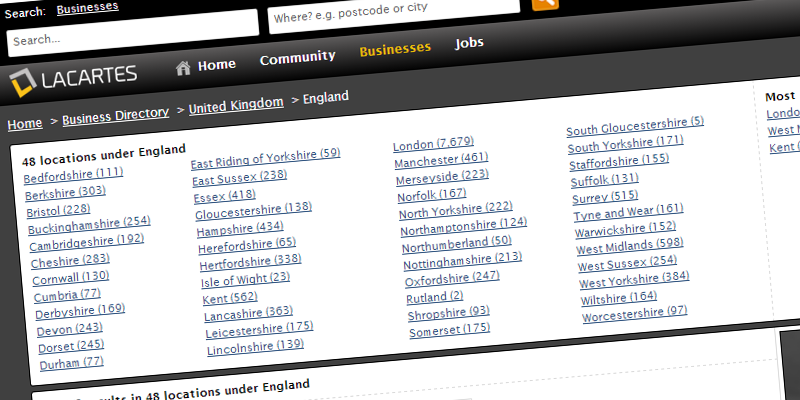 city-listings.co.uk is still growing and currently has over 160,000 listings and more than 200,000 monthly visitors. 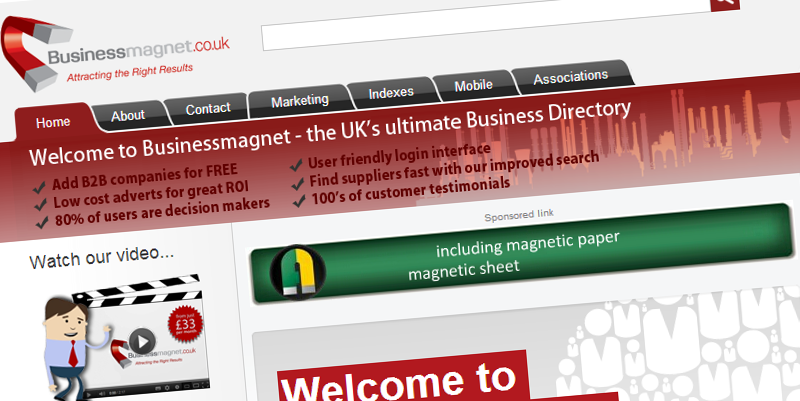 Businessmagnet.co.uk is a B2B directory. More than 140,000 businesses have listed their products and services in over 75,000 categories. 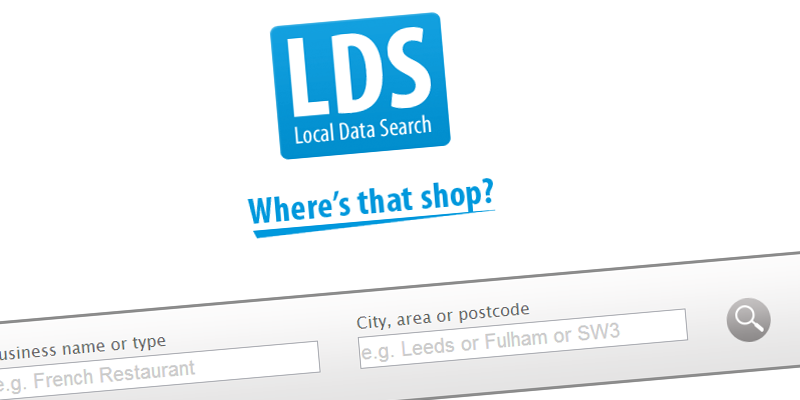 Local Data Search features over 700 cities in the UK with more than 380,000 listings. 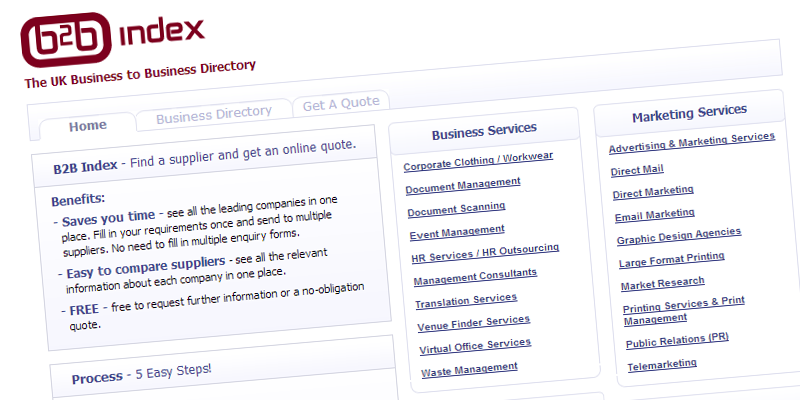 Brownbook is a global business directory which includes UK businesses. It has been featured in the likes of BBC and The Telegraph and has more than 2.2 million UK businesses listed. Yalwa operates in over 17 English speaking countries. 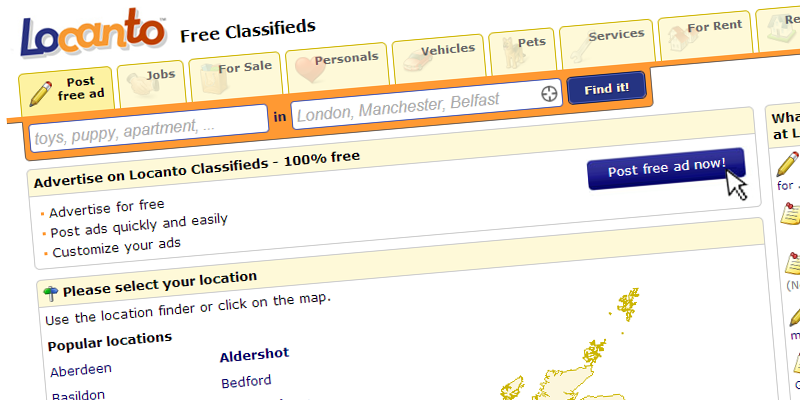 Its network of websites includes the Locanto free classifieds ads website. 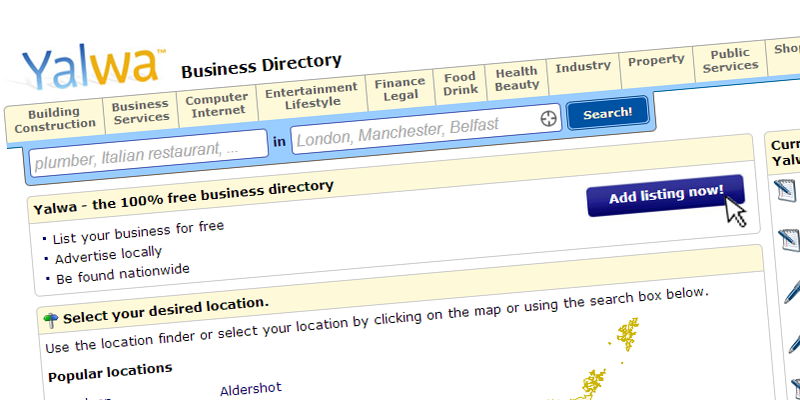 The UK Local Search business directory is a completely free directory. They don’t offer any way of paying them. The website has over 180,00 registered businesses. There are frequently close to 2,000 active visitors on the page at the same time. 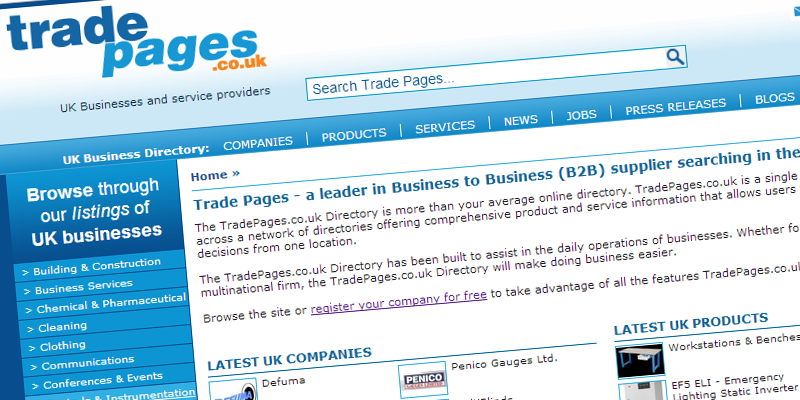 Tradepages.co.uk is a B2B supplier directory. 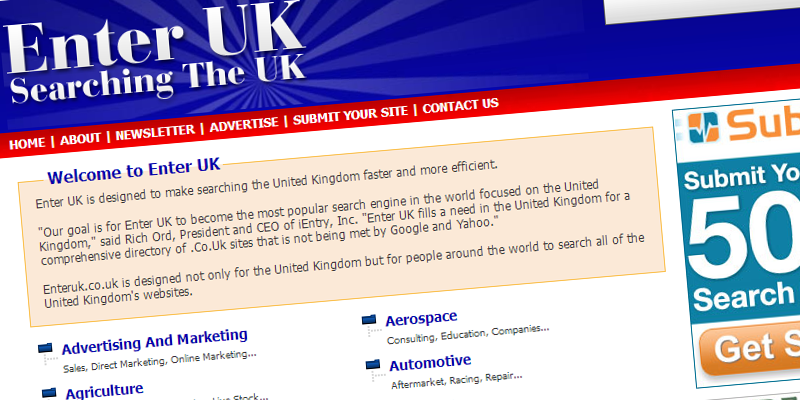 The directory lists over 200,000 UK-based suppliers for products and services. 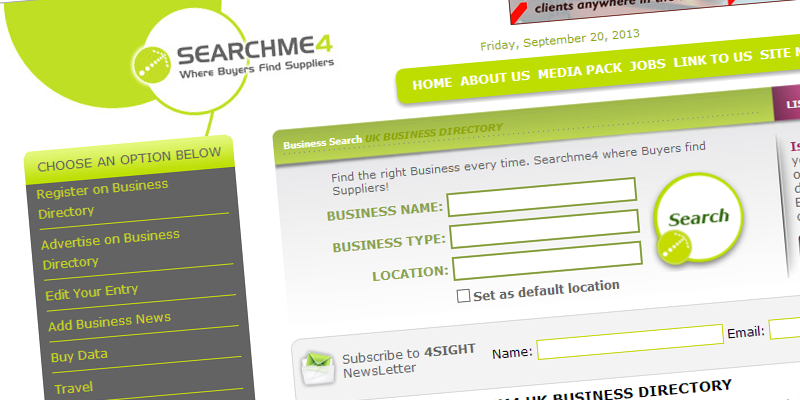 Searchme4 is a B2B supplier directory for UK business suppliers. PinBud was first launched in Canada back in 2010 and now operates in Canada, the USA, Australia and the United Kingdom. Consumers can get quotes from multiple suppliers with a single request. 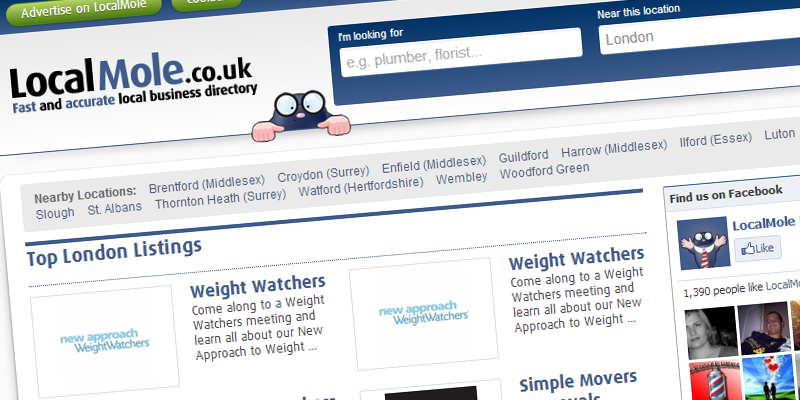 Locanto is a free classified ads website where businesses can support their listings with pictures and videos. The website operates in over 40 countries and is part of the Yalwa network. Premium features are available. 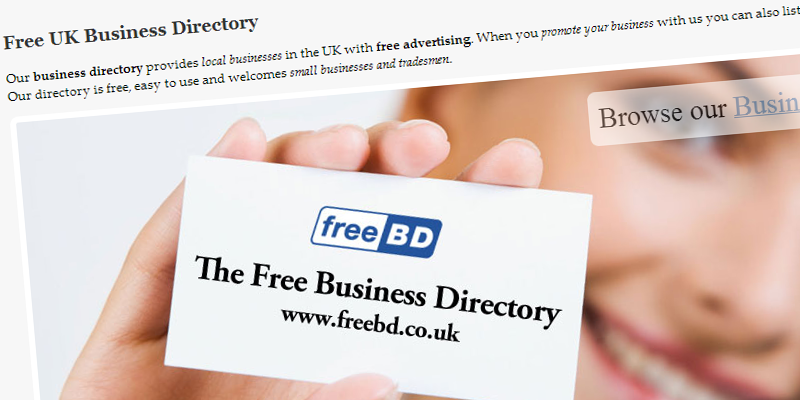 The Free Business Directory (freeBD) offers completely free listings to UK companies to get more exposure to potential new customers. 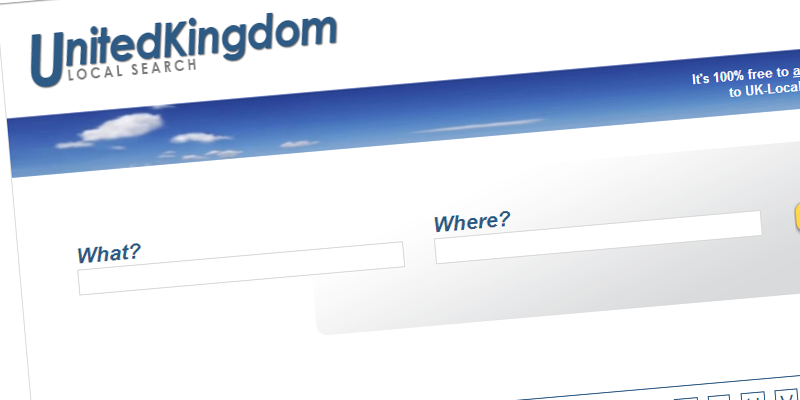 Enter UK offers companies from the United Kingdom to get listed for free on their online directory. 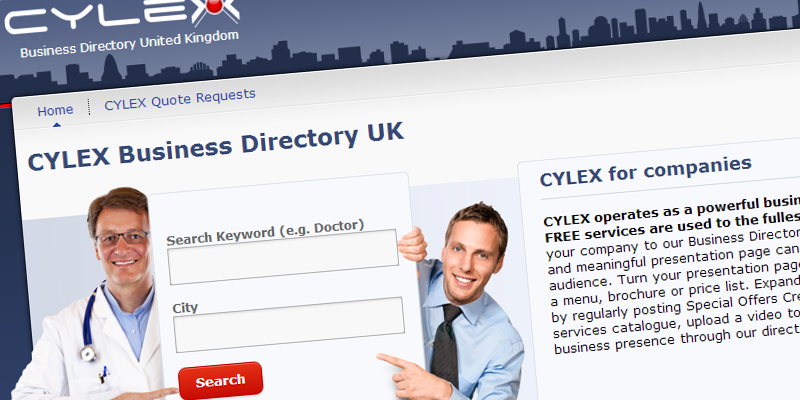 Cylex operates over 30 online directories in numerous countries and languages. Their websites are visited by over 1 million people daily. 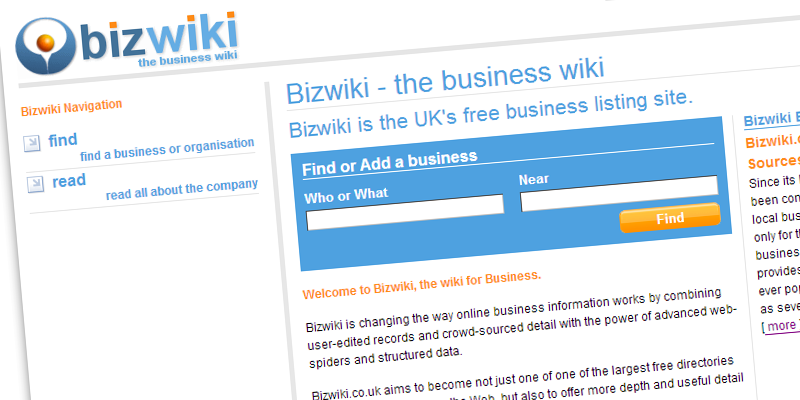 Bizwiki is a business directory for UK-based businesses. 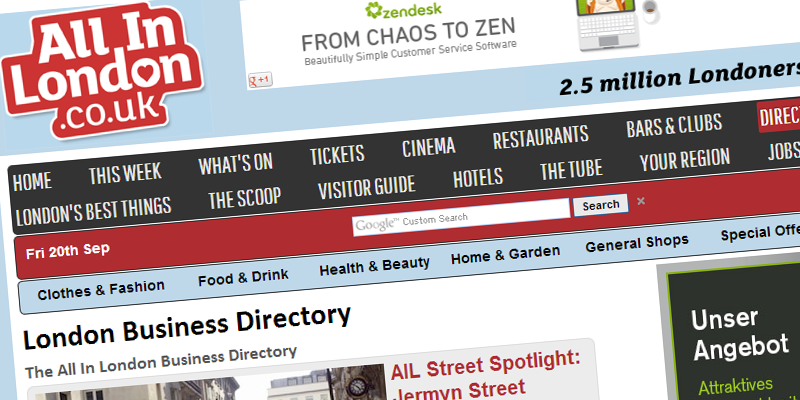 The directory collects its company data through the bizwiki robot which finds businesses as long as they publish their UK address on their website. B99.co.uk is a UK business directory with over 2 million business listed in more than 2,000 categories and over 100,000 company emails. 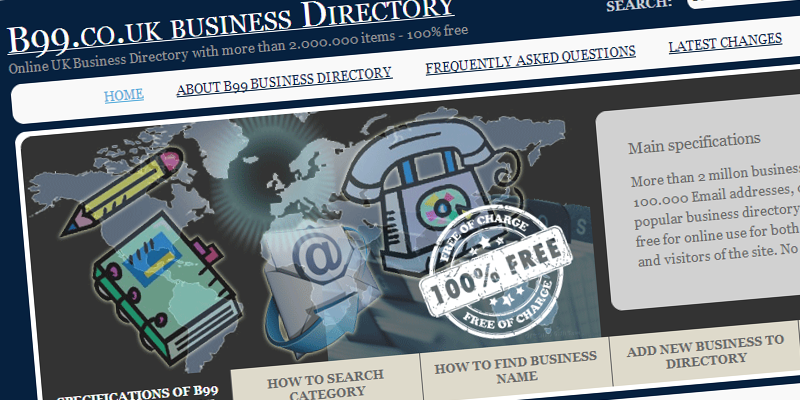 B2B index is a UK online directory for business to business contacts. You need to put a link back to the directory in order to get listed. 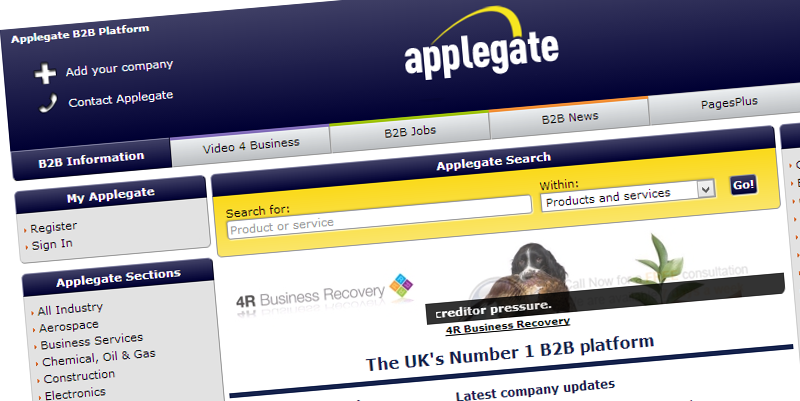 Applegate is a B2B online directory for UK businesses and suppliers. It lists over 8.7 million products and services from more than 380,000 companies. 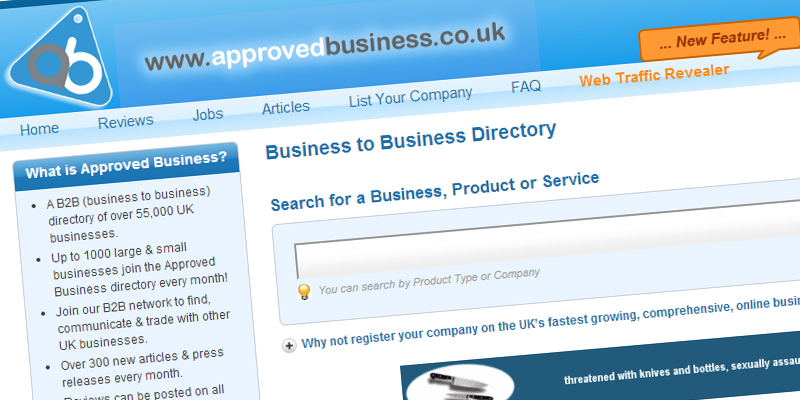 Approved business is a UK B2B marketplace and directory with over 55,000 listed businesses. 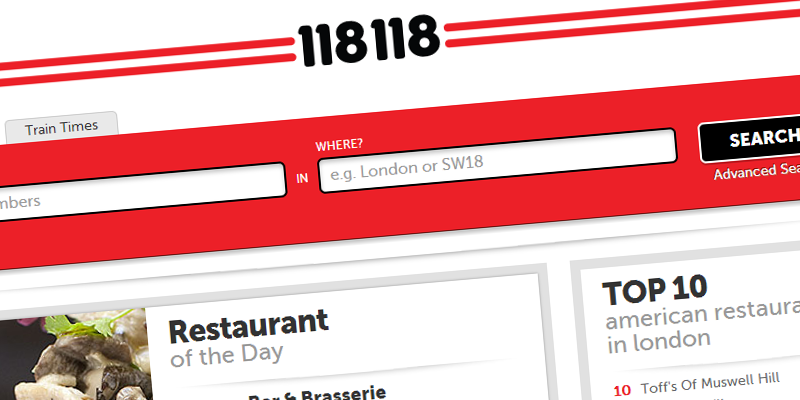 All In London is a London-specific directory for retail businesses, restaurants and shops. 118.com is the online business and address directory of the well-known 118 118 phone help line. 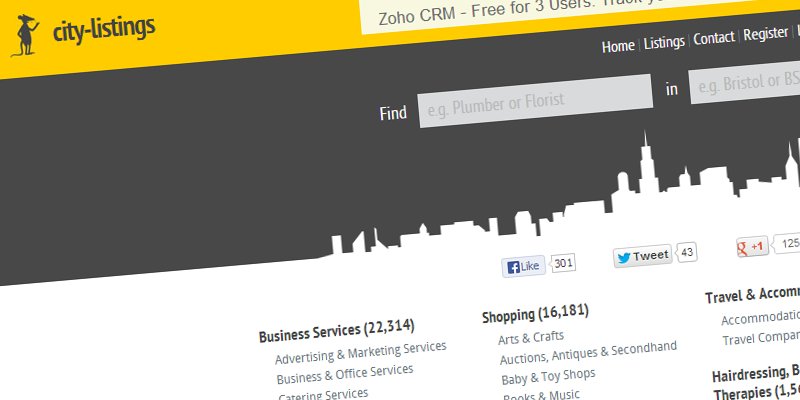 Search for people, businesses and places at 192.com. Companies get automatically listed but it is advisable to claim your own company’s profile and add information such as telephone numbers and website links. ClickDo helps organic SEO ranks on the local map pack through directory listings. If you Google “SEO agency London” you can see how ClickDo ranks on the map pack on the top 3. If you have a local business that operates in the UK, your customers must be able to find it online. Nothing comes for free in life. Some business directories might ask you to link back to them in exchange, which is generally known as a reciprocal link. Only do this if you genuinely feel that it is worth it. Linking to “dodgy” websites can harm your ranking in search engine results. Other business directories ask you for a payment to get listed or to get an enhanced listing. In most cases this is not really worth it and a standard listing is just fine. Only pay if you really think that it will pay back. You will start receiving some sales phone calls from large business directories and their highly skilled sales personnel. These sales people will tell you anything to sell their premium listings. Generally speaking it is not worth it and unless you have a very very good reason for it, never ever pay.